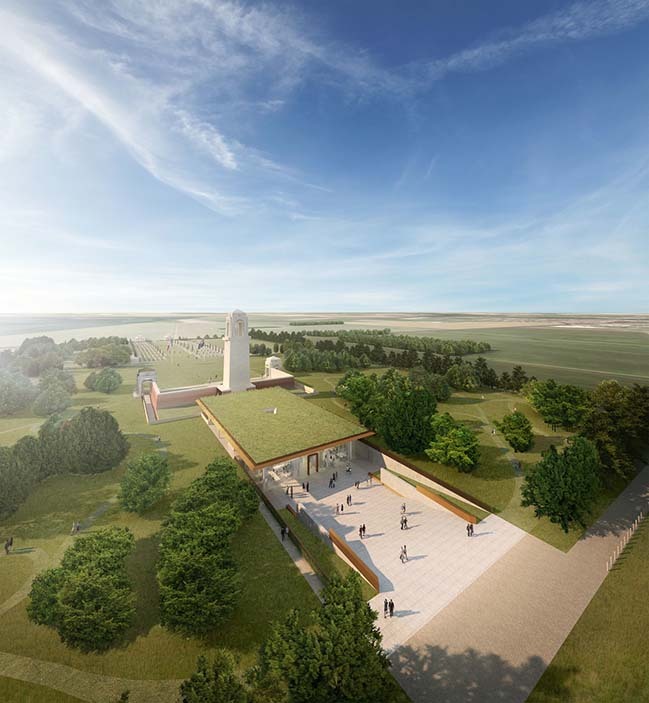 Cox Architecture with Williams, Abrahams and Lampros, are honoured to present the Sir John Monash Centre in Villers-Bretonneux, France. 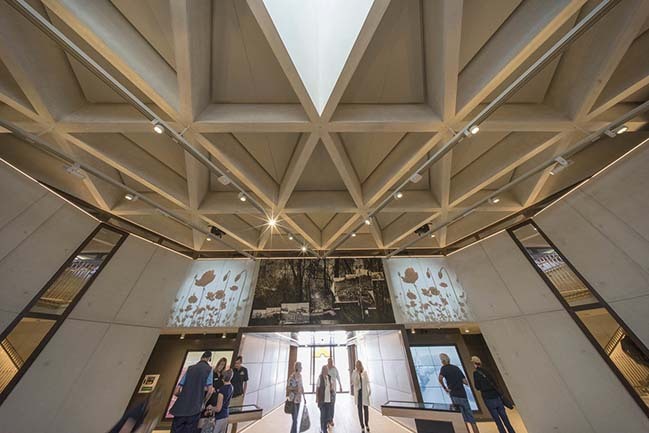 From the architect: On Wednesday 25th of April 2018, ANZAC day, the Australian Government will open the new immersive museum experience, the Sir John Monash Centre. 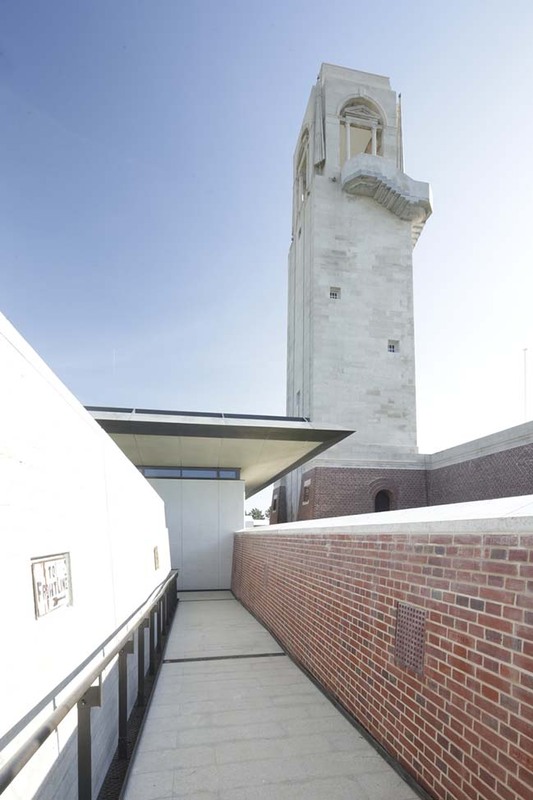 This new facility is sensitively arranged and complements, in terms of both its form and function, the existing Australian National Memorial at Villers-Bretonneux in France. 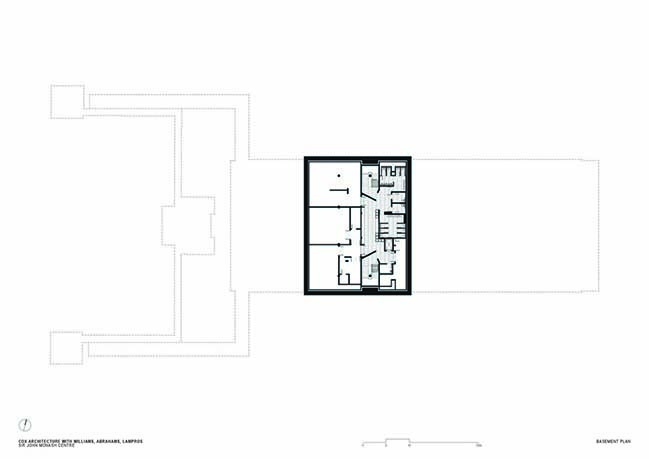 It is designed by Cox Architecture with Williams, Abrahams, Lampros. 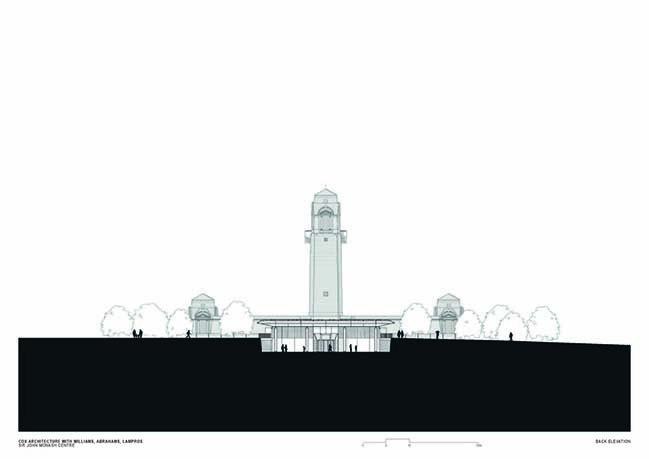 Hector Abrahams, a heritage architect working with Agius and Williams on the design noted the interpretative centre is “a continuation of the existing journey through the Military Cemetery and the Australian National Memorial. 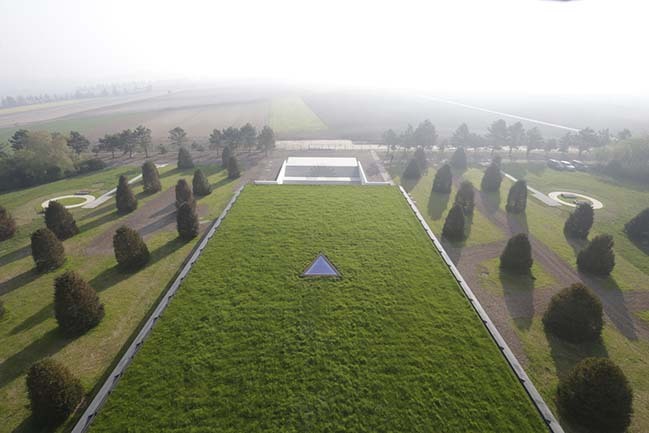 Concealed behind the wall of the Memorial it is designed such that the landscape qualities of the site are preserved. The building is physically connected to the original monument via twin ramps attached to the existing pavilions that flank the tower, completing Lutyens terrace paths as originally intended. 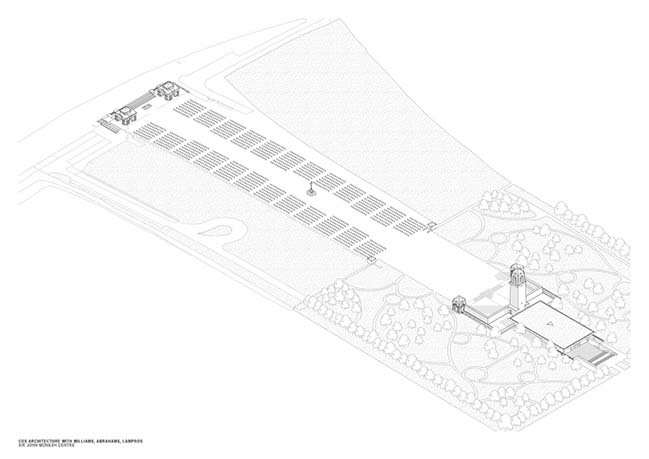 The ramps follow the route of the existing walls that bear the names of almost 11,000 lost soldiers whose graves remain unknown. 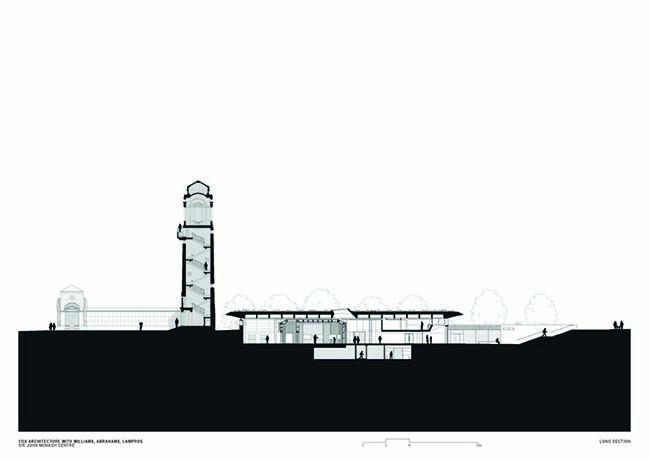 The ramps then sharply turn 90 degrees, providing visitors with a view of the tower, before completing an ‘about turn’ and into the underground interpretive centre. 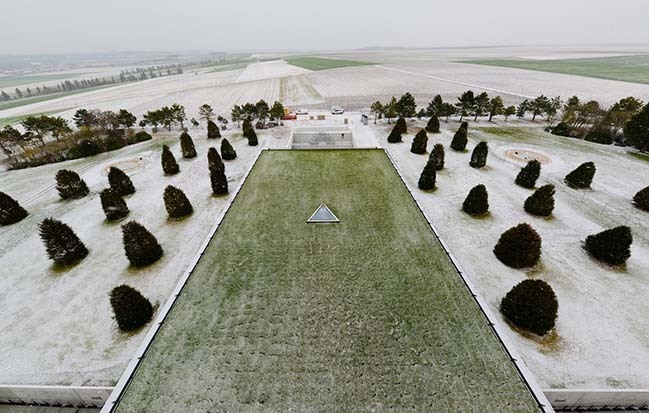 These sharp turns allude to the trenches of the Western Front, which were not simple straight lines and were designed to limit the impact of incoming artillery. 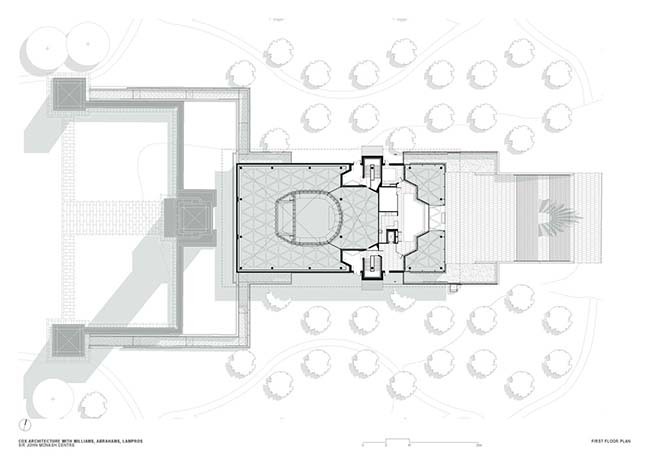 The trench-like experience continues as the ramps lead visitors into a dim and sombre foyer entry. 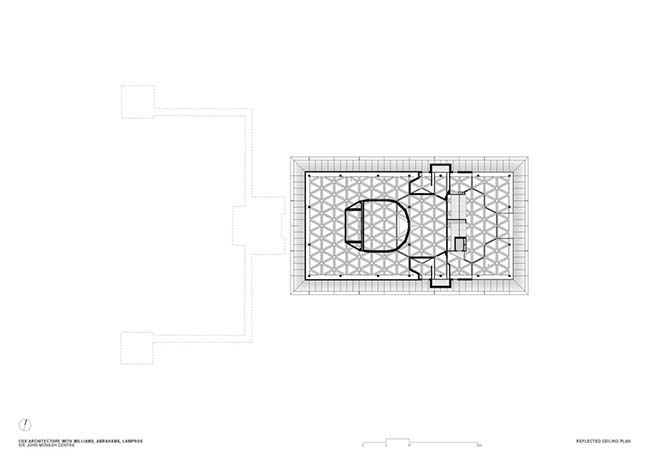 “The descent into darkness is a critical part of the experience,” Agius said. 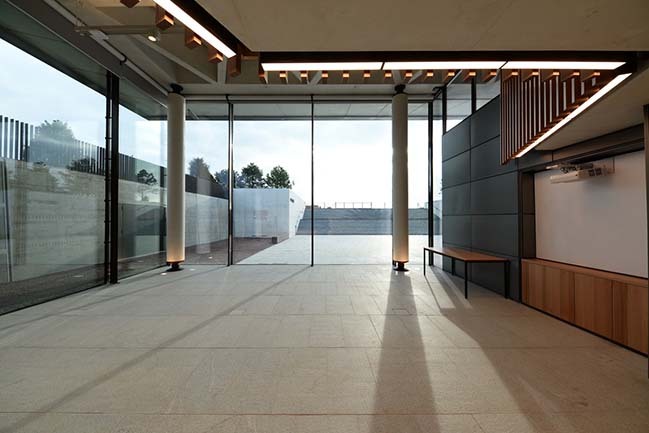 By contrast visitors will exit the building via a sunken courtyard, then ascending onto a landing threshold with a view of a landscape that was once the field of battle and where the Australian general Sir John Monash famously won victory. 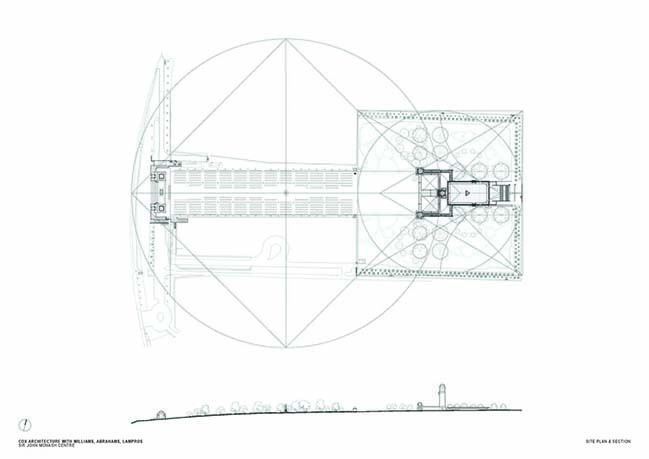 “There’s both a metaphorical and emotive movement that we’re trying to describe with the descent into darkness and then ascent into light.” Agius said. 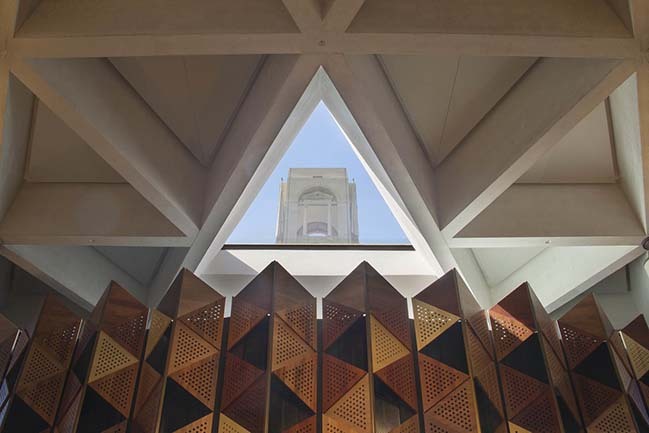 “This symbolic act is one of hope for the future. 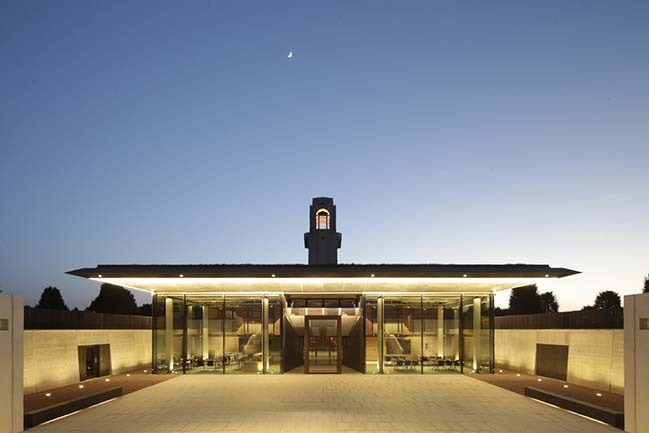 We believe the experience of the Sir John Monash Centre will be one that emotionally moves the visitor and stays with them over time.” Williams adds. 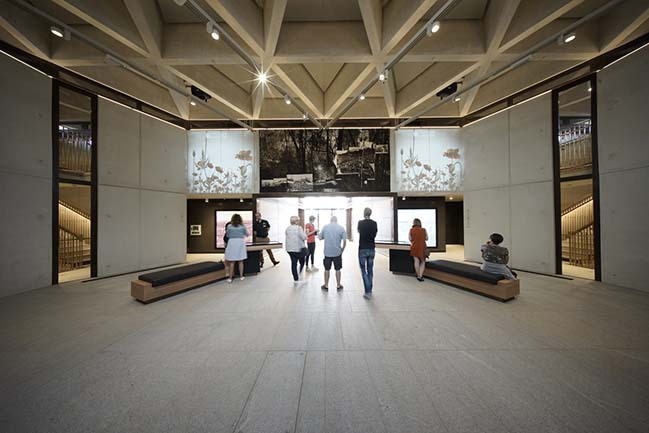 In this foyer hangs the monumental Morning Star tapestry, designed by prominent Australian artists Lyndell Brown and Charles Green, and handwoven by the internationally-recognised Australian Tapestry Workshop. 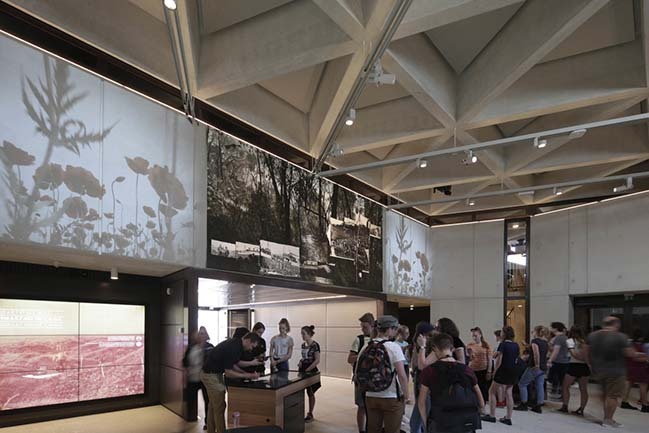 This is not a traditional museum but an immersive experience, using cutting edge interpretive technology to transport visitors into a situation beyond comprehension and now beyond living memory, but central to many Australian’s understanding of their country and collective psyche and identity. 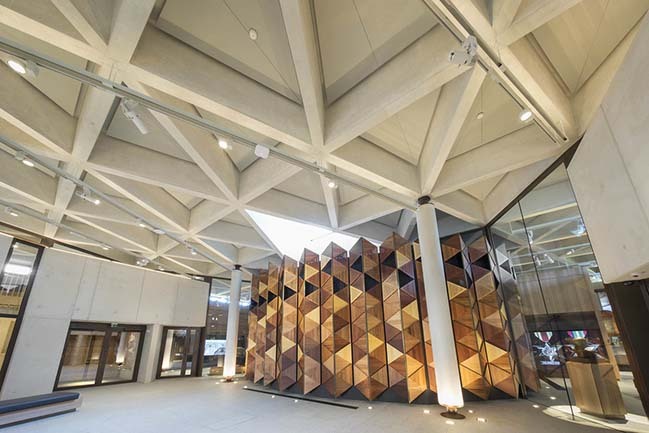 The dominating feature of the interior of the building is a circular structure clad in Australian timbers from each state and territory. 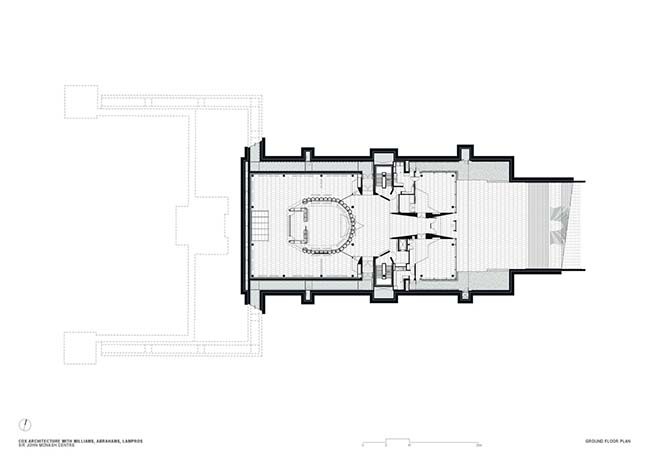 This separate structure houses the immersive gallery which is structurally and acoustically isolated from the rest of the building. 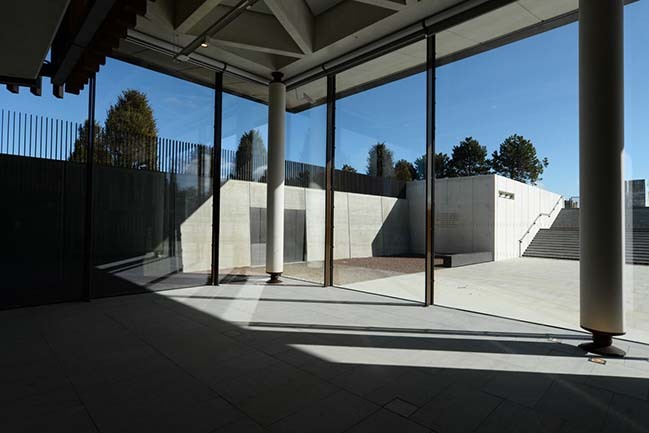 “The visitor circulates into this gallery in a process of ‘guided discovery’ to experience the narrative through touch screen exhibits. 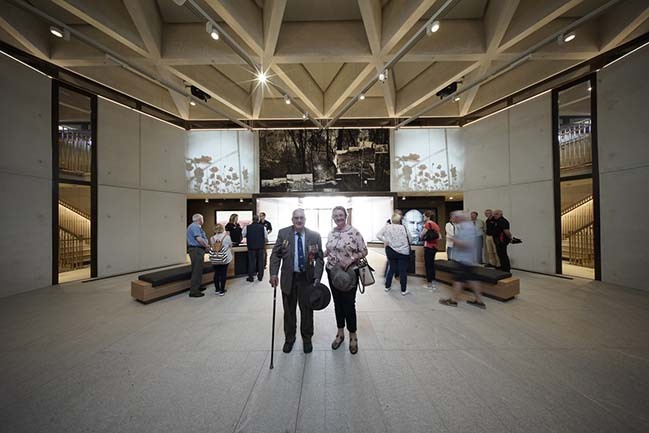 The scenography, by Convergence Associates, tells the story of why Australia entered the war, their experience of the Western front and the impact the War had on Australian Society. 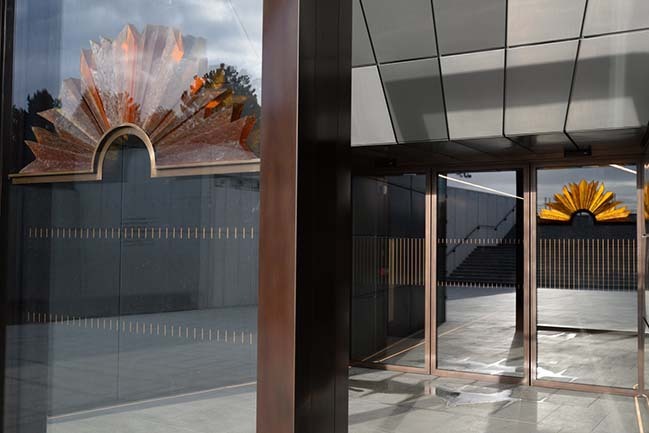 It uses both modern, immersive sound, vision and movement to tell a series of stories, and complements these with displays of more traditional, static objects and memorabilia. 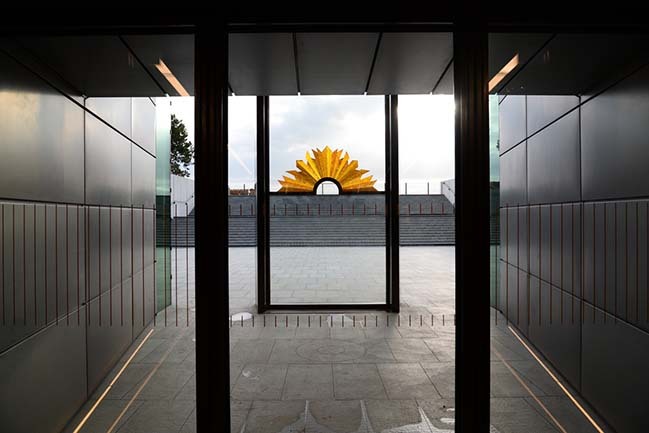 At the exit into the courtyard you find a significant cast glass sculpture by Australian Artist, Lisa Cahill representing the rising sun, insignia of the AIF. 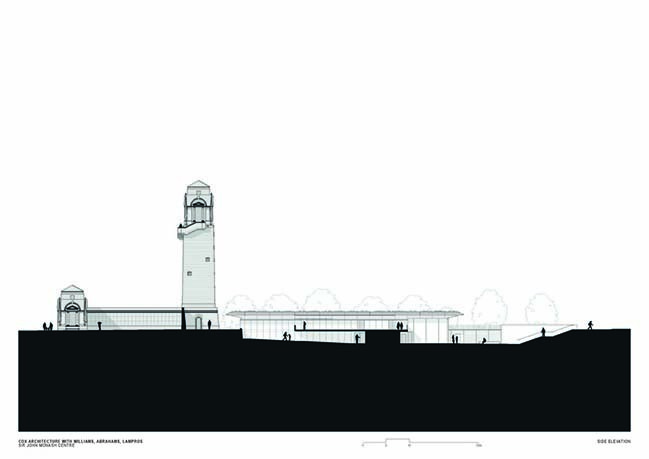 The Sir John Monash Centre will have an educational purpose for visitors, most of whom will be European. 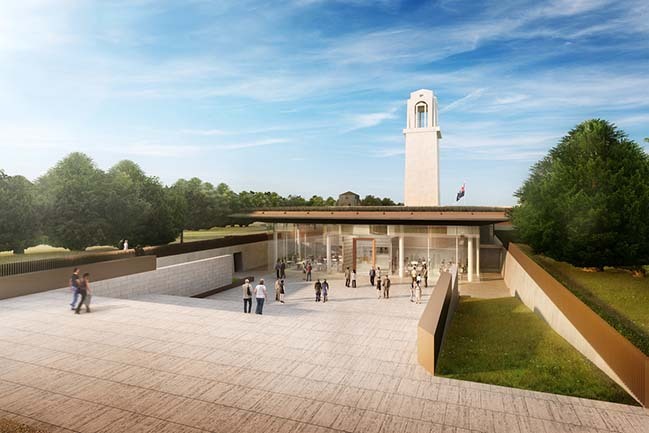 It will tell the story of Australia’s role on the Western Front in the First World War, where 290,000 Australians served. 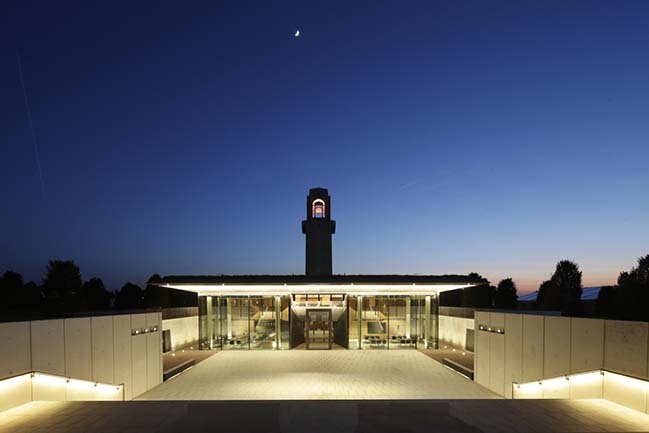 In many cases this education is delivered from a first-person and highly personal perspective, using memoirs and belongings from serving soldiers themselves. 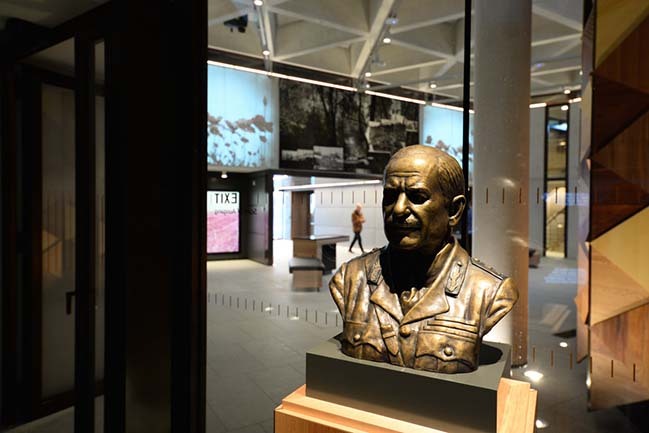 Fittingly, the centre is opening 100 years to the day after Sir John Monash broke the stalemate and won the battle at Le Hamel. 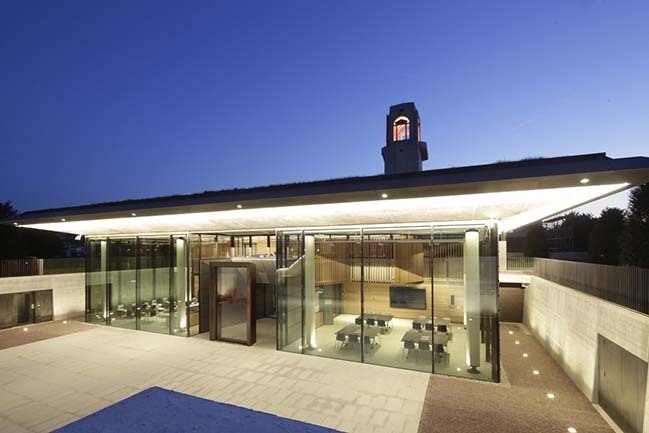 “The Cox team has been privileged to work on this special project that means so much to so many people in France and Australia.” Williams said.